Welcome to my web portal! I use this page for many purposes, but mainly as a starting point to my favorite web sites and for posting my latest photos. 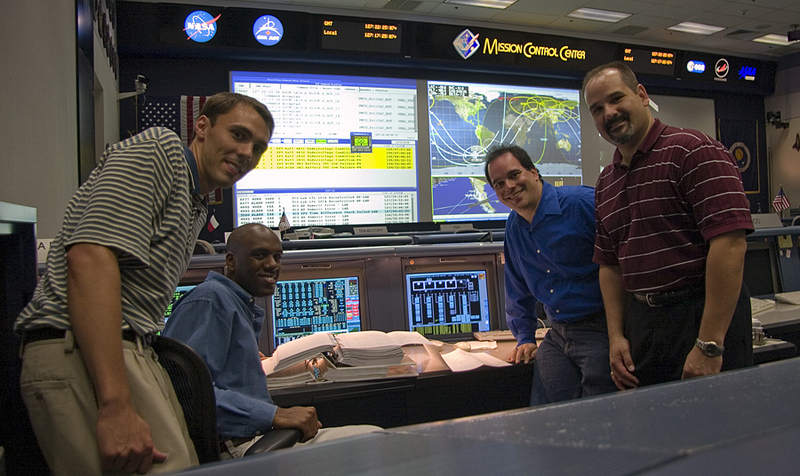 Here is a picture of some colleagues and me (far left) in the Mission Control Center. Chess Cheats - for Chess with Friends - iPhone/iPad app to help with Chess with Friends games. Knee Rider - iPhone app for turning your knee into an exciting children's ride. A History of Problems: Memphis Chess Club - Collection of Chess Puzzles based on the book by Kenn E. Thompson and Dwight K. Weaver (2011). JPlanetRise (WebStart)(.exe)- Simple app to calculate when the sun/moon/planets will rise/set for any location on earth. Notes and lessons learned while making things with a CNC router.